Assemblyman Chris Holden may introduce a bill as soon as Dec. 3 that would extend protections for utilities from recently enacted legislation to help cover potential liability for death and property damage caused by the Camp Fire. The Camp Fire, which is now 100 percent contained, has killed 85 people and destroyed approximately 19,000 buildings, making it both the deadliest and most destructive blaze in state history. A new California law allows utilities to sell bonds to cover liabilities from destructive wildfires that occurred in 2017. The law does not apply to 2018 blazes, but Holden’s proposal would change that. PG&E and other utilities have sought more far-reaching legislation that would eliminate a rule known as inverse condemnation, which holds utilities responsible for economic damages from wildfires started by their equipment, even if they followed safety rules. Lawmakers interviewed by Bloomberg said they sense little interest among their colleagues in changing inverse condemnation. Likewise, insurance companies and lawyers want to keep the legal doctrine. PG&E has filed disclosures stating the utility experienced power outages near the location the Camp Fire started on the same morning it began. Fire investigators have yet to determine the cause of the blaze, but PG&E has already been hit with lawsuits over the Camp Fire, and damages from the wildfire could exceed $15 billion, according to Citgroup Inc.
What area of CA does Holden represent? Probably someplace that is highly supported by PGE. Although I am not convinced that PGE will be held financially responsible for all the damages from the Camp Fire – based on past issues, they seem to be one of these “too big too fail” companies and the state (ie. us the taxpayers and ratepayers) will end up footing the bill. In the meanwhile. the big wheels at PGE will continue to get paid huge amounts of money and the people in Paradise will suffer for many years to come. Where is the justice in that? This jerk face is busy writing a bill to absolve PGE of liability while people’s teeth are being examined to find out which Californians are victims of a public utility caused fire. That is so irresponsible it makes me sick. PGE should be in bankruptcy and their CEO should be fired. Forests are choking on wood that should have been harvested decades ago. If human beans are going to occupy our forested paradise, they need to be managed (the forests, not the humans). Why kick the can down the road, just allow PG&E to open several Casinos. We all know the Democrats will do everything they can to protect PG&E, it’s monopoly, multi million dollars salaries to the top brass and golden parachutes even as PG&E fails to maintain their system. This is only the start. Just like a Republican you’ll find a way to blame anything on Democrats. What is the Republican solution? 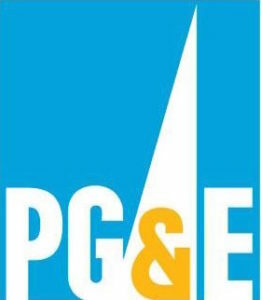 Driving them, PG&E, into bankruptcy? Who would foot that bill? Not PG&E! You as a consumer would, and more than likely in increase rates that are now some of the highest in the country.